A UK supplier to the medtech industry is making waves in the Chinese orthopaedic sector with a biomaterial designed for implants. At the recent congress of the Chinese Association of Orthopaedic Surgeons (CAOS), Invibio Biomaterial Solutions of the UK, and China’s Double Medical Technology collaborated on an interbody spine surgery workshop to help expand knowledge of the implantation of Double Medical’s Direct Lateral Interbody Fusion (DLIF) spinal cages made with PEEK-Optima . The biomaterial PEEK-Optima polymer by Invibio was introduced to medical device manufacturers in China after the approval by the China Federal Drug Administration (CFDA) in 2004. Hosted in conjunction with the North American Spine Society (NASS), the CAOS workshop “Principles and Techniques of Complex Spine Surgery Workshop” took place on May 12, 2017, at the Zhongshan School of Medicine, Sun Yat-sen University, in Guangzhou. The event was the fifth joint NASS-CAOS workshop and delivered a full day of hands-on cadaver labs with over one hundred surgeons attending and multiple one-hour product demonstrations streamed live to the audience, including the demonstration of Double Medical and medical-grade PEEK innovator Invibio. Double Medical, a large medical equipment group whose broad product range includes orthopaedic implants, dental implants, general surgical products, neurosurgical products and electronic medical devices, and Invibio have been working together since 2009. At this jointly planned NASS-CAOS event, the two companies demonstrated a Direct Lateral Interbody Fusion (DLIF) spinal cage made with PEEK-Optima and showed how the DLIF cage, which has already been used in lumbar surgeries, can provide a better overall therapeutic experience for patients. "The design of this state-of-the-art DLIF cage incorporates advances in medical technology contributed by both our companies," commented Michael Veldman, global strategic marketing manager at Invibio. During the NASS-CAOS workshop he delivered a short introduction on PEEK-Optima, its potential clinical benefits and outlined how the adoption of the new PEEK-Optima HA Enhanced is progressing, both globally and within China. Veldman said, “It is important to note that advanced surgical technique now allows the placement of the DLIF Cage across the disc space, while avoiding the anterior vessels, and the posterior neural and bony elements. As well, the bullet-nose design allows for ease of insertion, while autogenous bone graft or bone graft substitute are accommodated, allowing fusion to occur through the cage. This is a remarkable design. It's innovation in action." 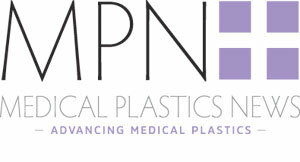 Worldwide, the number of implanted medical devices that incorporate PEEK-Optima polymer has increased to around nine million, according to Invibio. The group reports that it is now building on this pioneering success, working within China's flourishing and advanced medical sector, where enhanced therapeutic technologies and techniques are being prioritised by official government policy.